is an Associate Professor of Early Childhood and Elementary Education at the University of Texas at San Antonio. Her research and publications focus on cooperative learning in dyads and elementary science education in dual language environments. For several years, Dr. Arreguín-Anderson has been involved in leadership positions at local, state, and national organizations that advocate for bilingual learners. is an associate professor in the School of Education at the University of Rhode Island, where she teaches undergraduate and graduate courses in reading and digital literacy and co-directs the PhD in Education program and the Graduate Certificate in Digital Literacy. Julie conducts research and speaks nationally and internationally about the new literacies of the Internet, online reading comprehension strategy instruction, collaborative knowledge building during inquiry, and effective practices for technology integration and professional development. Julie is working on a book titled Planning Toward Personal Digital Inquiry in Grades K-5, to be published by Stenhouse in 2018.
is a professor of education at Wake Forest University in Winston Salem, North Carolina. She has a master’s degree in reading from Florida State University and a PhD in reading from the University of Georgia. Prior to going to the university, Pat taught first and fourth grades and was a reading specialist and director of reading for a county school system. Pat’s particular interest has always been in finding alternative ways to teach children for whom learning to read is difficult. In 1991, she published Phonics They Use: Words for Reading and Writing, which is currently available in its seventh edition. Along with Richard Allington, she published Classrooms That Work and Schools That Work and more recently, What Principals Need to Know About Teaching and Learning Reading. White Paper: Learning to Read and Write in English—It’s Complicated! is a Professor Emeritus in the Department of Curriculum, Teaching and Learning of the University of Toronto. His research focuses on literacy development in multilingual school contexts as well as on the potential roles of technology in promoting language and literacy development. In recent years, he has been working actively with teachers to identify ways of increasing the literacy engagement of learners in multilingual school contexts. teaches at Magnolia High School in Anaheim, California, where he is in his thirty-first year. He is the former co-director of the South Basin Writing Project at California State University, Long Beach. Outside of his work with students and educators, Kelly loves watching baseball, playing with his dog, Scout, reading, hiking and spending time with his family. Kelly’s latest book is In the Best Interest of Students (Stenhouse/February 2015). 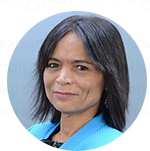 is currently the CEO of Gómez and Gómez Dual Language Consultants and was Co-founder of the Gómez and Gómez Dual Language Enrichment (DLE) model. Dr. Gómez is a retired professor of Bilingual Education. His research is focused on language and academic issues affecting bilingual learners. For the last 20 years, Dr. Gómez has been dedicated to sharing his research in dual language education in over 900 schools across 11 states. He secured a Title VII grant establishing a Bilingual Doctoral Fellowship program at Texas Tech University. His dedication to teacher professional development is exemplified in the establishment of a State Professional Development Conference (“Promising Practices Conference”) to provide teachers with strategies for educating ELL, migrant, and children of poverty. is President and CEO of TextProject, a nonprofit that provides resources to support higher reading levels. She is also a research associate at the University of California, Santa Cruz. Dr. Hiebert has worked in the field of early reading acquisition for 45 years, first as a teacher’s aide and teacher of primary-level students in California and, subsequently, as a teacher and researcher. Her research addresses how fluency, vocabulary, and knowledge can be fostered through appropriate texts. is director of the Language and Literacy master's program and the Jeanne Chall Reading Lab, and a senior lecturer on education at the Harvard Graduate School of Education. She is currently the faculty member of the Juvenile Justice Education Research Initiative, investigating the education provided to incarcerated youth. She collaborates with colleagues nationally and internationally on preparing reading specialist teachers, implementing literacy coaching, developing school leaders, and evaluating school-wide literacy programs. is the Macy professor of English Education at Teachers College, Columbia University, a class of 2014 Fellow of the American Educational Research Association, and the past President of the National Council of Teachers of English (NCTE). He is also the Director of Teachers College’s Institute for Urban and Minority Education (IUME). Dr. Morrell also received recognition for being one of the top 100 university-based education scholars in the 2016 RHSU Edu-Scholar Public Influence Ranking. He is also an award-winning published author. is a professor in the Language and Literacy Program of the Graduate School of Education at the University of California, Berkeley. He has been active in many professional organizations and has served as president of both the National Reading Conference and the National Conference of Research in English and has received multiple awards. His publications include Powerful Learning: What We Know About Teaching for Understanding and Handbook of Reading Research (Vol. 4). He is the founding editor of the Handbook of Reading Research, now in its fourth volume. is a professor of Literacy Education and Children’s Literature in the Mary Lou Fulton Teachers College at Arizona State University. Frank has published seven books, including: Interactive Comprehension Strategies: Fostering Meaningful Talk About Texts, Reading the Visual: An Introduction to Teaching Multimodal Literacies, Remixing Multiliteracies, The Reading Workshop, Reading Aloud and Beyond, Lessons in Comprehension, Around the Reading Workshop in 180 Days, Classroom Reading Assessments, and most recently Reading Workshop 2.0: Teaching Reading in the Digital Age. In addition, Frank is an award-winning children’s picturebook author and illustrator, and was recently awarded the Mayhill Arbuthnot Award from the International Literacy Association as the 2014 Distinguished Professor of Children’s Literature. is an associate professor at the University of Illinois at Chicago. He also serves as Director of the UIC Reading Clinic where he hosts an annual African American Adolescent Male Summer Literacy Institute. Alfred authored the award-winning book Teaching Reading to Black Adolescent Males: Closing the Achievement Gap (2005) and Reading for Their Life: Re(building) the Textual Lineages of African American Adolescent Males (2009). He has authored more than 25 publications on the topics of adolescent literacy, teacher professional development in urban middle schools and high schools, and the literacy development of African American adolescent males, particularly the impact of texts on their lives. He continues to support middle and high school teachers and administrators. Dr. Tatum is active in several professional, national, and international literacy organizations. He began his career as an eighth-grade teacher in Chicago, later becoming a reading specialist. is the Manuel J. Justiz Endowed Chair in Education and executive director of The Meadows Center for Preventing Educational Risk at The University of Texas at Austin. She leads several initiatives and has published more than 35 books and 250 peer-reviewed research articles related to learning problems. Her publications include Research-Based Methods of Reading Instruction, Grades K-3; Teaching Reading Comprehension to Students with Learning Difficulties; and RTI for Reading at the Secondary Level. She has worked nationally and internationally with educators from Japan, Canada, Sweden, Norway, Portugal and Australia. has spent the past four decades as a teacher, literacy coach, university instructor, and staff developer. She served two large, diverse, Houston, Texas school districts as language arts director and provided leadership support to literacy coaches for 21 years. Her professional interests and work focus on reading comprehension, writing, and whole-school/district change through robust literacy instruction. She currently works with schools and districts across the country as a staff developer and educational consultant. Her work has focused on linking research and practice and bringing out the strengths in others. Judy has authored a number of professional book chapters and articles. She wrote the “Blue Pages” in Conversations with Regie Routman and Comprehension Intervention, Grades K-2 and Comprehension Intervention, Grades 3-6, with Stephanie Harvey and Anne Goudvis. began his career as a kindergarten teacher in the Lower Rio Grande Valley of Texas. He went on to occupy many different roles throughout his over 20 years in education. Some of these included being a Literacy Coach, Texas Statewide Staff Developer and Professor of Education. He earned his doctorate in Curriculum and Instruction in 2009. Lee’s passions and expertise grew out of the joys and challenges he faced while working in Title 1 schools within large urban school districts throughout Texas. Today, he feels privileged to have the opportunity to train educators on topics that focus on the importance of effective classroom management, small-group instruction and early literacy.